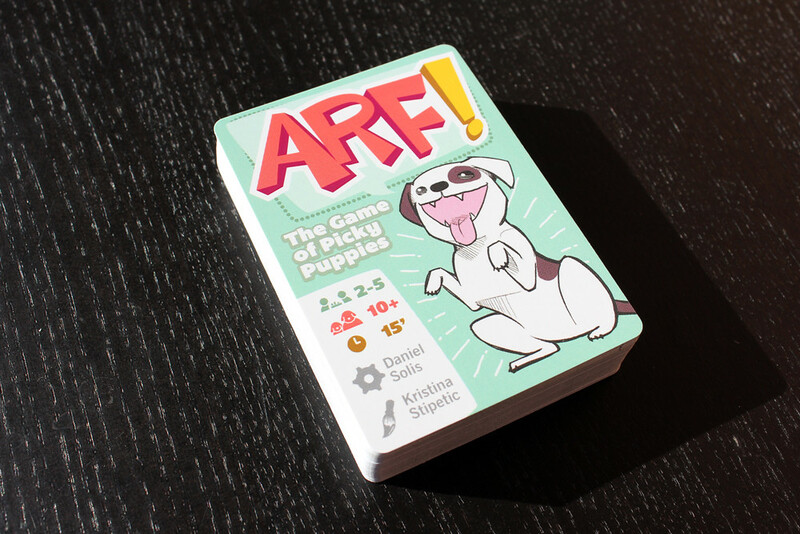 You’re volunteers at an adoption fair trying to find the best homes for your shelter’s puppies! 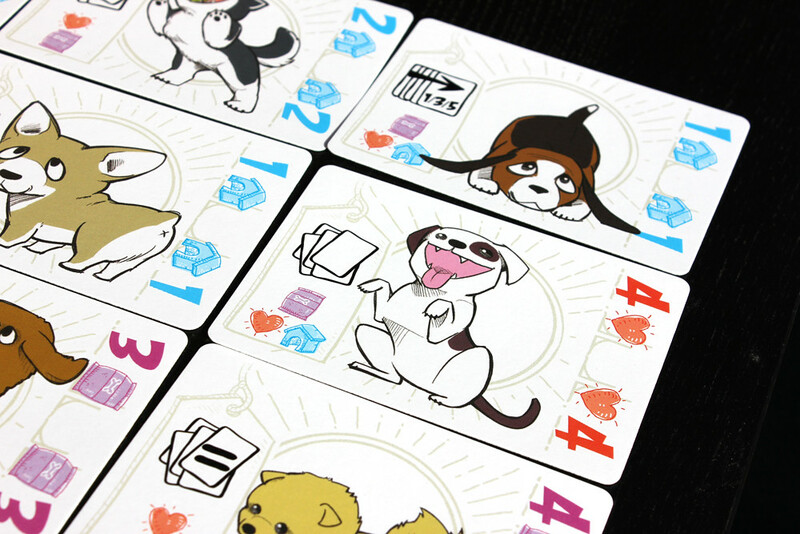 You will present each puppy with a set of cards which represent a home you’ve found. Each home offers different amounts of Food, Love, or Room in varying combinations. The player who offers the best home gets to keep a record of that adoption in their portfolio. 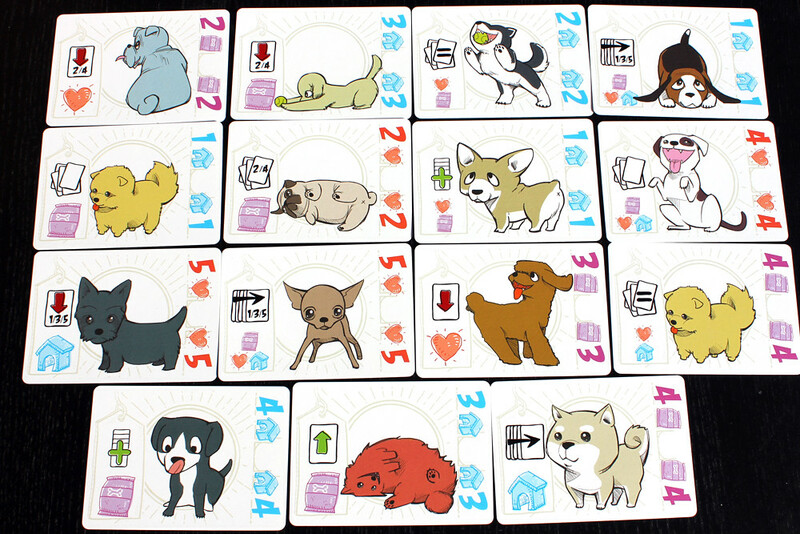 Score points by collecting cards with matching ranks, suits, and breeds.